The Plans HE Has For You Ministries: Off to Africa! Great NEWS, we received all the funds we needed and we have enough school supplies to fill over 350 backpacks for the children at the Nduchi Primary School and to give to the visiting orphanage backpacks as well. We are so excited to arrive in Kenya and see the boys at Haven on the Hill Children's Home!!! 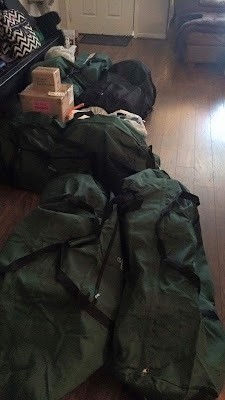 We will spend our first few days getting all the backpacks individually filled with school supplies and matching them up with the individually made uniforms for each of the children at the Nduchi school. We will be visiting families in the community, prepping for VBS, and sharing the LOVE of JESUS!! 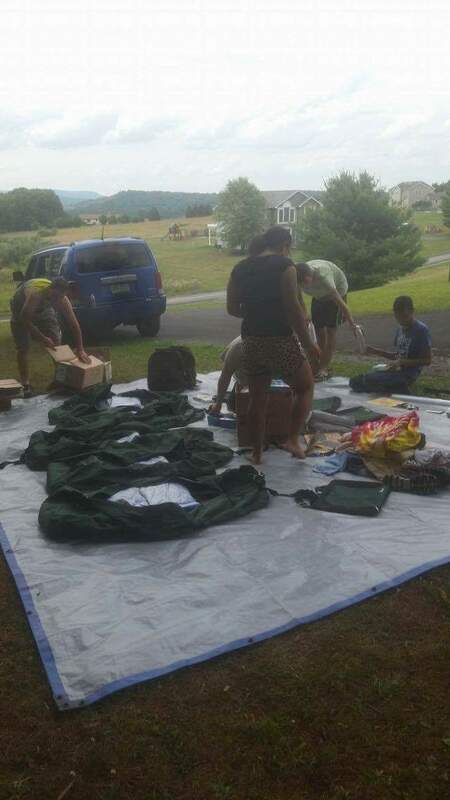 Below are pictures from our packing parties! On left is from our packing party in TX and on the right our friends from PA. Look at the beautiful weather in PA. They were able to pack outside. We are so excited to see what God is going to do at our VBS, and with the people we will encounter. Please pray for our Traveling Safety, and for us to make an impact for the Kingdom of GOD. When we get back, I will be working on our next newsletter!